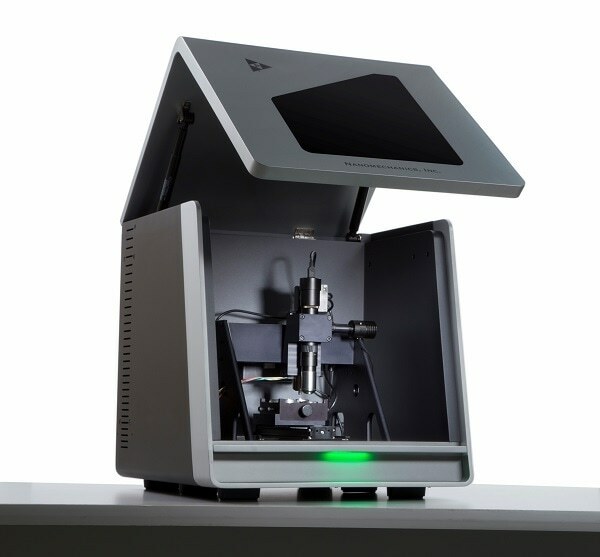 The iNano nanoindenter offers precision and accuracy at a price that puts nanoindentation capability into reach for any lab’s budget, from key universities to high tech companies. 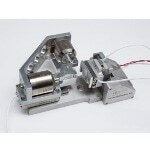 Nanomechanics, Inc. provides the highest performing and most capable mechanical characterization microprobe on the market at an affordable price, offering customers the capability to carry out accurate testing on a variety of materials, while remaining true to the principle of attaining more for less. Optional NanoBlitz Topography and Tomography Software to perform 4D and 3D mapping of materials. 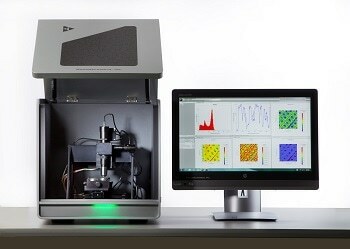 Unique tip-calibration system integrated into the software that allows for accurate, fast and automated tip calibration. Sample stage movement of 25 mm in the Z axis, 100 mm in the X, and 150 mm in the Y axis allows testing of a variety of sample heights, and over a large sample area. The iNano has a time constant of 20 micro seconds, and is considered to be the only commercial nanoindenter to simultaneously meet specs for a maximum indenter travel of 50 μm, drift rates of < 0.05 nm/s, a digital resolution of 0.02 nm and a noise floor of < 0.1 nm. Available method packs containing standards, methods and tips for biomaterials, thin films, and polymers. The Remote Video Option offers two varied viewing angles within the iNano chamber with a USB camera together with the standard microscope objective. The scratch option features a maximum scratch speed of 500 µm/s, maximum scratch distance of 2.5 mm and a maximum normal load of 50 mN. 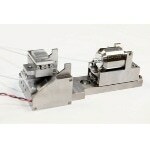 Electromagnetic actuators are used in all systems developed by Nanomechanics Inc., including the iNano. These actuators are linear robust devices that inherently decouple force and displacement. 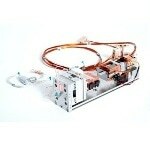 They offer an ultra low noise floors of less < 200 nN, resolution of 3 nN and maximum force of 50 mN. The iNano with its flexibility feature allows for a variety of tests including, but not limited to, frequency specific experiments, constant strain rate, modulus and hardness (Oliver and Pharr) and storage and loss modulus. iNano is capable of dynamic excitation frequencies from 0.1 Hz to 1 kHz in order to ensure the most reliable data and the widest range in the industry.